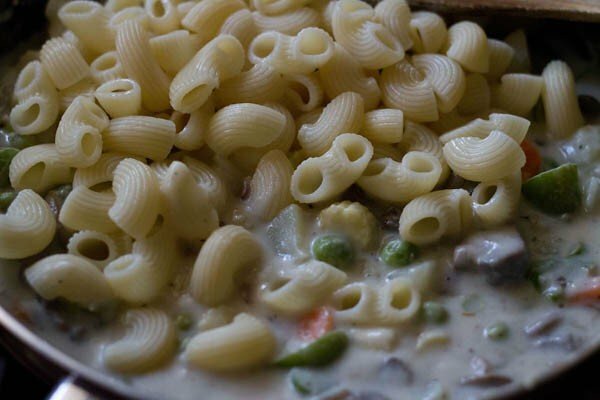 veggie pasta recipe in white sauce - smooth and creamy dish with pasta and vegetables in white sauce. 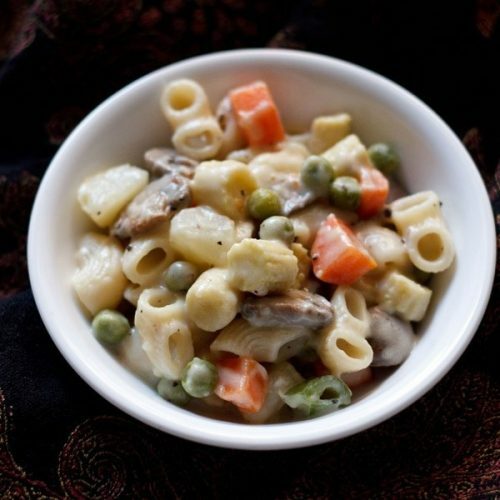 vegetable pasta recipe in white sauce with step by step photos. 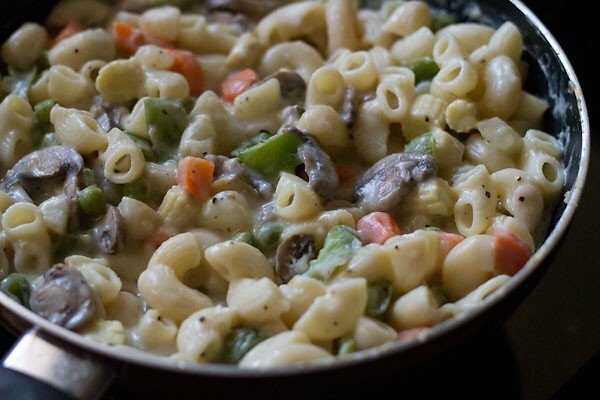 this vegetable pasta is an easy and delicious recipe of pasta made with mix vegetables and white sauce. i usually have pasta or macaroni at home which i use to make various pasta recipes on occasions. this veg pasta recipe gets made at home often and is liked by everyone. as an accompaniment to the pasta, i bake a bread or loaf the previous day and make a side vegetable soup or tomato soup. you can use your choice of veggies in the pasta. we are fond of peas, baby corn, carrots, cauliflower, mushrooms and potatoes and hence these get often added in the pasta. usually i prefer to include vegetables in the pasta recipes wherever possible. various mix vegetables not only add a lot of flavor and depth to the pasta but also makes it more nutritious. for the flavors and seasoning, i have added dry basil and oregano. you can add your choice of preferred herbs. if living in india and you don’t have access to dry basil and oregano, then you can add a bit of fresh coriander or mint leaves. don’t add too much, just a tiny amount, about 1 tsp of chopped coriander or mint. to make this veg pasta recipe you will have to steam or cook the vegetables. 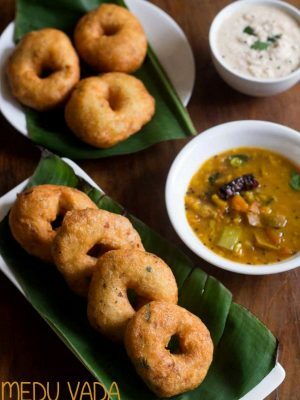 either steam them in pot or electric cooker or use a pressure cooker to cook the veggies. peel and dice or cube the veggies. keep aside. i have not steamed the mushrooms but sauteed them as you will see in the pics below. in this recipe you don’t have to make the white sauce separately. 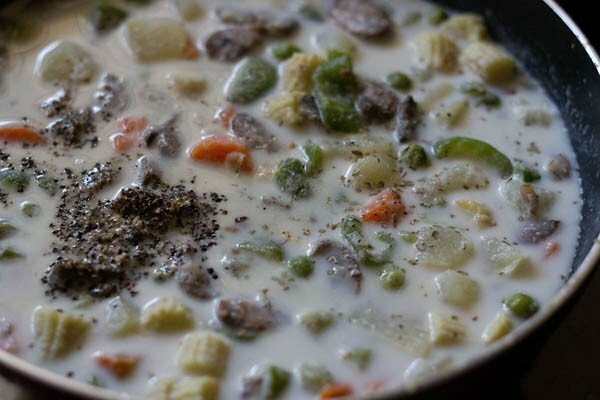 the white sauce is made in the same pan once the boiled veggies are added. you can also have a look at this white sauce pasta recipe which is made in a different way. first steam or boil the potatoes, carrots, baby corn and peas in a steamer or pressure cooker. drain and then chop them. keep aside. strain the pasta and rinse with water. drain and keep aside. 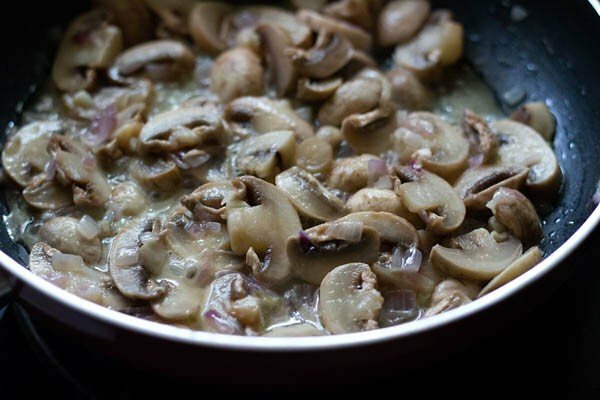 the mushrooms will release their juices initially and after continuous sauteing, the juices will evaporate. there should be no moisture in the pan. 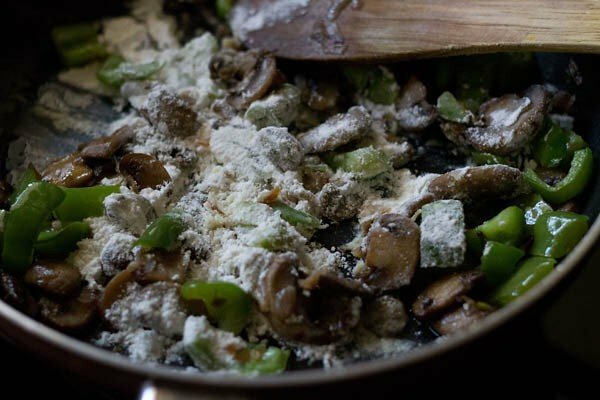 keep on stirring in breaks while sauteing the mushrooms. then add the chopped capsicum (bell pepper) and saute for 10 to 12 minutes. add the boiled vegetables and saute for a minute. pour milk in a gentle stream to the pan and keep on stirring. the flour will combine with the milk and you will see the sauce getting thickened slowly. season with salt, pepper and oregano or basil or your choice of herbs. when the sauce stars to thicken and reaches to your desired consistency. add the pasta. 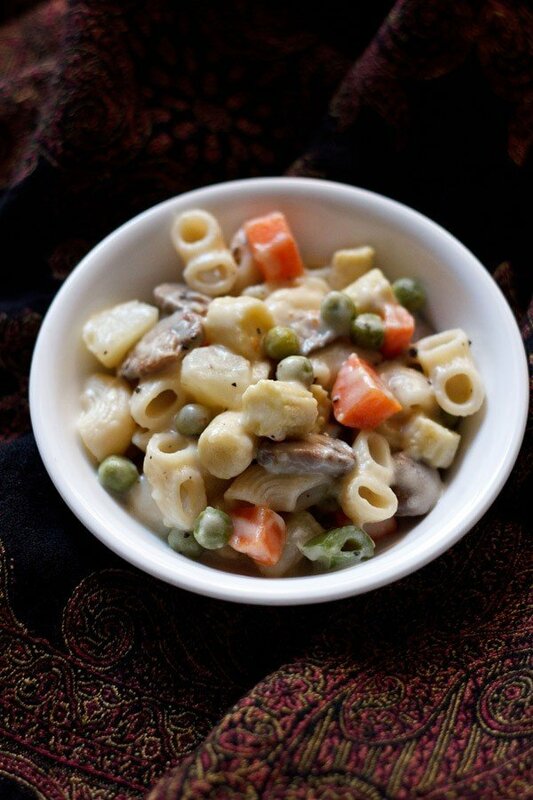 stir well so that the white sauce coats the vegetables and the pasta. switch off the flame. 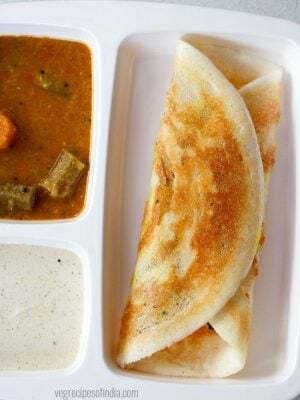 if the white sauce becomes too thick or lumpy, then add some hot water or milk and thin the sauce. lastly add some grated cheese if required. serve vegetable pasta recipe hot with some toasted bread or baguette. 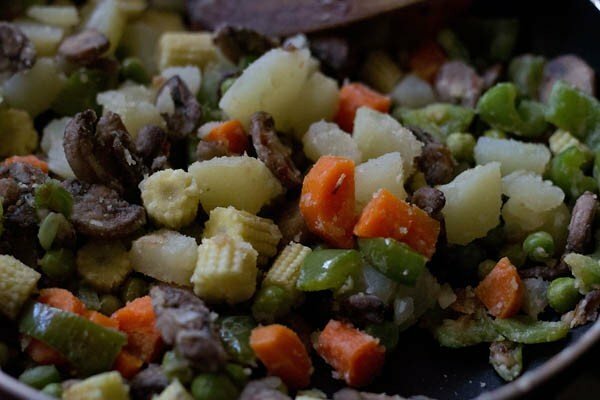 1. first steam or boil the potatoes, carrots, baby corn and peas in a steamer or pressure cooker. drain and then chop them. keep aside. then take enough water in a pan or pot. add some salt and few drops of oil. 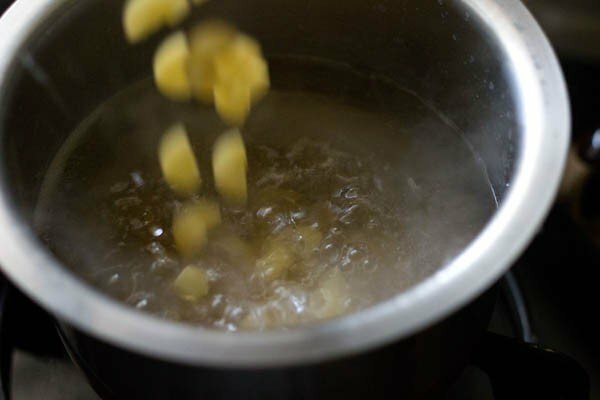 bring the water to a boil and then add the pasta and cook them. 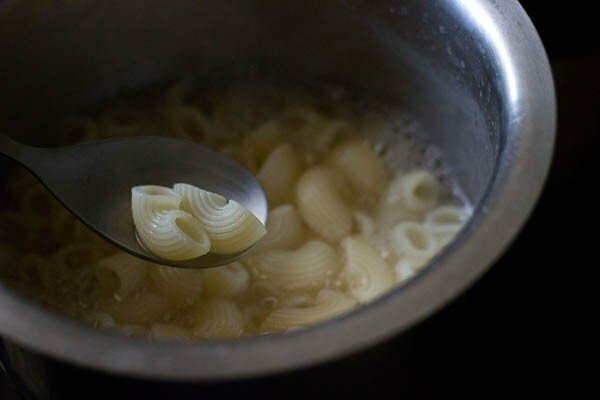 2. the pasta has to be well cooked as we are not going to cook them further, once we add them to the final dish. if you like then you can cook the pasta al dente. 3. drain the pasta in a colander or sieve. rinse with running water and keep aside. you can sprinkle a few drops of oil and gently toss them. 4. heat butter in a pan. take care it should not burn or brown. 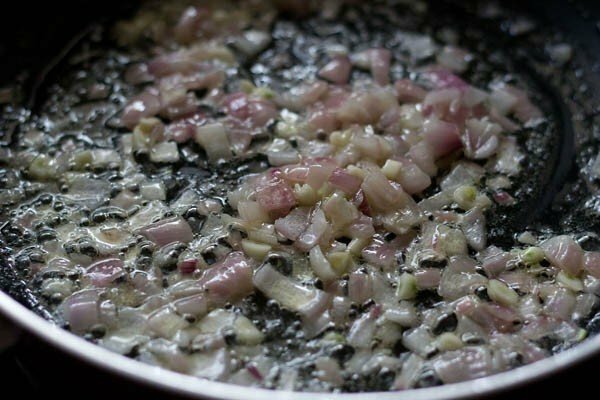 add onions and garlic. saute till the onions are translucent. 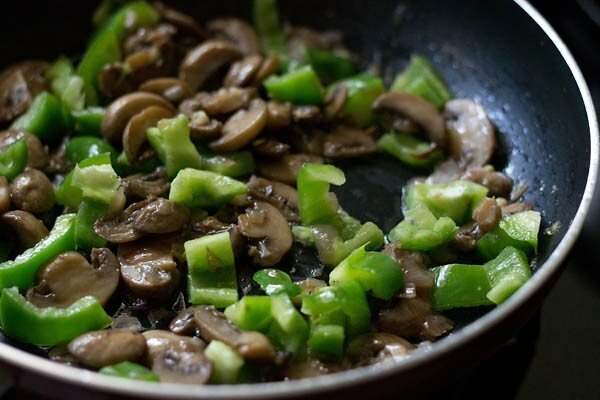 5. add the sliced mushrooms. 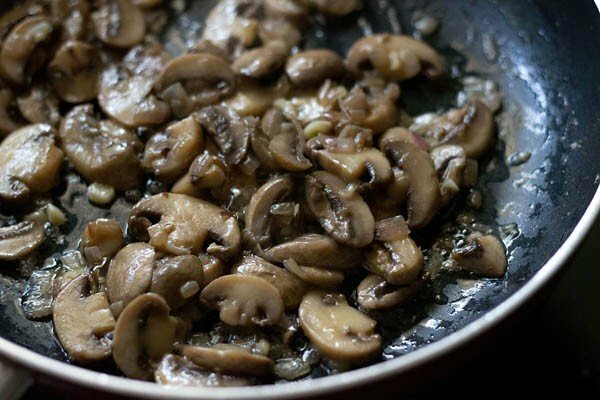 6. saute the mushrooms till they start to get lightly browned from the edges. 7. add the chopped capsicum/green bell pepper and saute till they are softened and almost cooked. 8. add the all purpose flour/maida or whole wheat flour/atta and stir well. saute for 4 to 5 mins on a low flame till the raw aroma of the flour goes away. 9. add the chopped cooked veggies and stir well. saute for a minute. 10. pour milk in a gentle stream to the pan and keep on stirring. the flour will combine with the milk and you will see the sauce getting thickened slowly. season with salt, pepper and oregano or basil or your choice of herbs. 11. when the white sauce starts to thicken and reaches to your desired consistency, then add the pasta. 12. stir well so that the white sauce coats the vegetables and pasta. switch off the flame. serve vegetable pasta hot or warm topped with some grated cheese. if you want you can also top the vegetable pasta with grated cheddar cheese and bake in a preheated oven till the cheese melts. keep a slight liquid consistency in the recipe. so when the pasta and sauce cool down also there won’t be stickiness or lumpiness. so add some more milk. 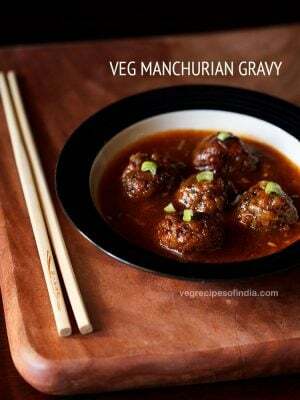 I tried this recipe yesterday and followed it as you have advised and wow it came out perfectly! everybody praised the pasta like how it tastes perfectly like a restaurant made! All thanks to you. 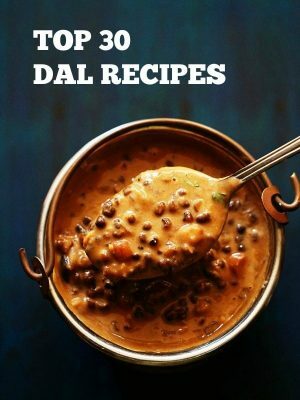 May you be blessed for giving us so yummy recipes and best part and the unique part is step by step pictures which makes it more easier.Thank you very much! Welcome Priya. Glad to know this. Thanks for your best wishes and kind words. I am touched reading your positive feedback. Happy Cooking. 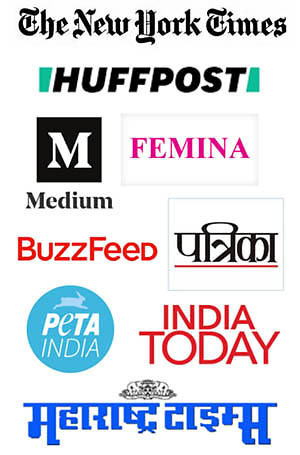 Hi…love all your recipes ..i just wanted to know How to make pasta more creamy ?? thanks juhi. 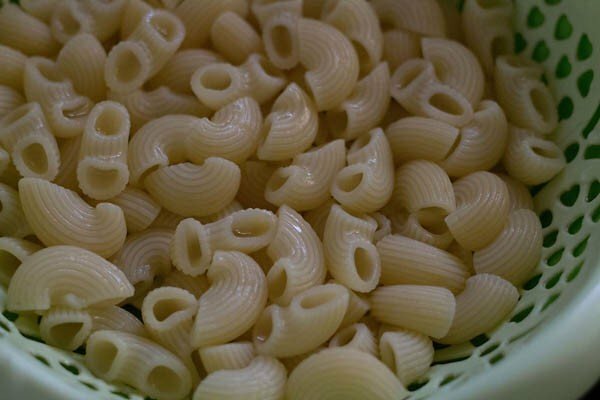 you can add some cream or increase the quantity of white sauce to make the pasta more creamy. 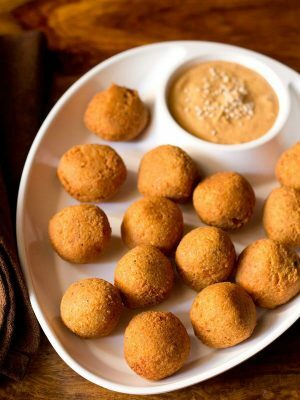 Have tried the laddos you suggested and all of them have come up so well…this is the best site for Veg recipes ,the pics further makes it easier.Thanks so much. thanks aditi for sharing this. glad to know. happy cooking. 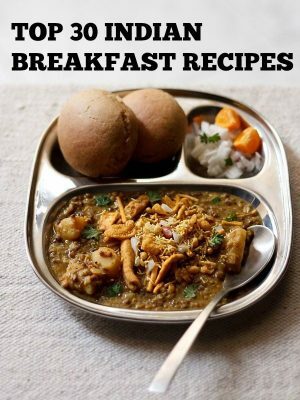 Hi mam, firstly hats off to you for writing such wonderful appetising recipes. 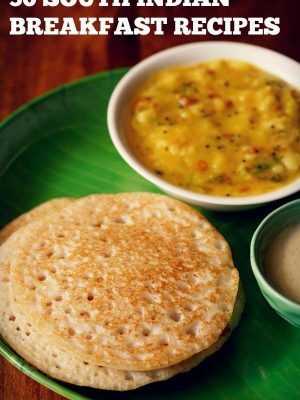 I am following your recipes from last 2-3 months. Everyday, i scroll through your app to help me in the kitchen. You really are my guru. Thanks tons! thank you much ria. i am glad that the recipes are working out well for you. thanks again. thanks vinutha for this feedback. you can use penne or any type of pasta. 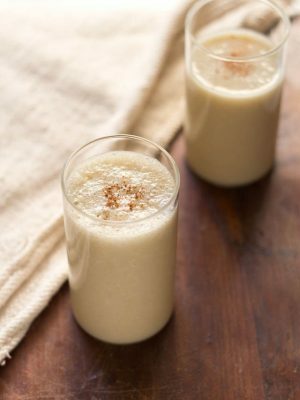 Just tried this recipe and it turned out to be awesome. My daughter loves pasta and its so good now to be able to make at home… thank you. I love your app and recipes… you are a guru. thanks sumit for your kind words and positive views 🙂 you are welcome.